I've started studying the True North Rezzfest program to plan my itinerary for next weekend. Perhaps unsurprisingly the Compass Club pop up bar was the first thing to capture my attention. With all due respect to the contributions of last year's participating artists and performers, The Compass Club was far and away my favourite part of the first True North. Rezza has a number of esteemed licensed gaming venues, but it doesn't have a single proper bar, so when Compass Club appeared hundreds of people gravitated towards it hungrily and partied all weekend like a busload of backpackers on acid. Good times. 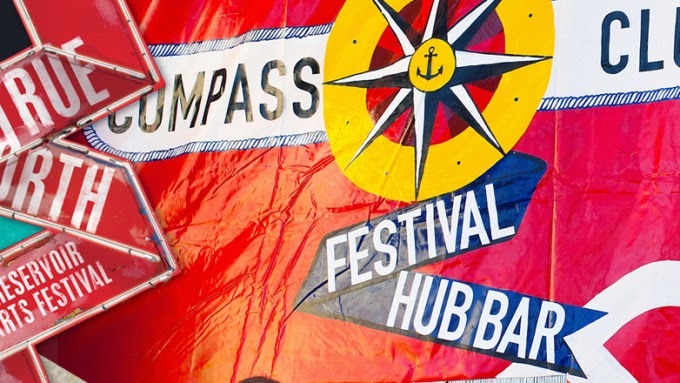 This year it appears the Compass Club is going to change locations throughout the weekend. Ranging around the streets of Rezza after dark in search of a bar that vanishes and reappears unexpectedly should give True North a nice Stephen King feel I think. And for once I won't feel the need to cross the road when I see a lost soul standing on a deserted corner vehemently insisting to anyone who will listen "There was a bar here last night, I swear." Are You Heading True North? Happy Tourette Syndrome Awareness Week from the 'Voir! Well there goes the best sight gag in Reservoir. If you have Reservoir-specific links, images or anecdotes, I'd love to see them. Or else follow 'Voir Tales on Facebook or Twitter.